Delivering excellence in a contemporary setting, we offer Podiatry, Chiropractic, Biomechanics and other associated therapies to the highest standard by qualified, experienced and registered health professionals. 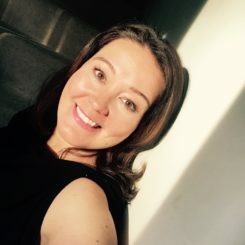 Samantha Beckett MNHMA graduated from the Middlesex School of Complementary Medicine in 1998 with an ITEC diploma in Massage. Sam is a NO HANDS Massage Master Therapist and has diplomas in Aromatherapy, Reflexology and Indian Head Massage, clinical assessment and remedial massage. We are thrilled to announce that Alison Brady has joined our clinic team. A highly respected and accomplished therapist, she specialises in all things lashes and brows including HD Brows, LVL lashes, tinting and shaping and semi-permanent make up…. and more! Alison trained in HD Brows before the brand even launched by the co-founder, Nilam Patel. Since then she has run her own successful salon, welcoming thousands of clients and mentoring her team. Her clientele have included ‘A’ list celebrity clients from around the world, including LA, Barbados and Monaco. Alison is now running a stand-alone business in key locations: with us in Berkshire, Yorkshire and Lincolnshire. We are absolutely delighted to tell you that Alison Jones from Go Sugar has joined our clinic team. Sugaring is a fantastic treatment that removes unwanted body hair and is less painful than conventional waxing. It provides a silky-smooth finish as the skin is gently exfoliated and is especially good for clients with sensitive skin. We are very pleased to welcome Christine Wilson, a highly respected and experienced homeopath, to the team at the clinic. Christine’s interest in homeopathy and alternative medicine stems from personal experience of using treatments to help both herself and her daughter. She is able to apply her knowledge, understanding and skills gained first-hand over several decades to her patients and clients. 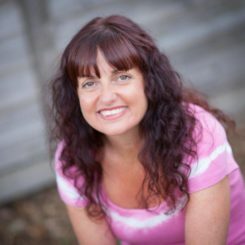 To compliment her homeopathy, Christine is also a Vega Test Practitioner helping patients with sensitivities to food and other substances to understand and manage their symptoms. Our fantastic Reception team is here to help you with enquiries, make your appointments and they can advise you about our treatments, products and special offers. We accept cash, debit and credit cards (please note that we do not accept American Express). We do not store credit card details nor do we share customer details with any third parties. Treatments are pay-as-you-go unless approval has been provided (in writing) by a private healthcare provider. We are approved by a range of private medical companies but do not cover BUPA policies. We comply with the 1998 Data Protection Act by ensuring that personal information is processed fairly and lawfully and will only be shared with the specific consent of the patient. We need to keep comprehensive and accurate personal data about patients in order to provide safe and appropriate care and we are required, by law, to hold this information for eight years for adults and until 25 years of age for children, whichever is the sooner, after which it will be destroyed. Data is held electronically and in a manual filing system. The information is not accessible to the public and can only be viewed by authorised members of staff. Our computers have secure audit trails and are backed-up routinely. We are committed to preventing discrimination, valuing diversity and achieving equality of opportunity in all that we do. We strive to ensure that no one is denied access to our services because of their disability. We will modify our services whenever we are able; in order to meet the specific needs of our patients and clients.